Facebook Dynamic Creative helps take some of the guesswork out of putting together ads. 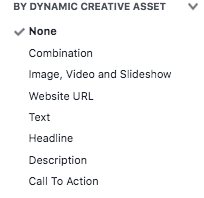 Instead of having to manually test out different combinations of ad components to figure out which resonates best with your audience, Dynamic Creative does the testing for you. Sounds pretty cool, right? Before we get ahead of ourselves, do you have your Facebook Business Manager set up? If not, stop what you’re doing and go get it set up! 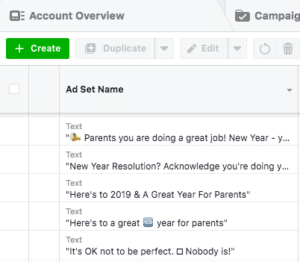 Facebook Business Manager is a free tool from Facebook that lets you manage your pages and ad accounts – and it’s also where you’ll be working to use the Dynamic Creative feature. 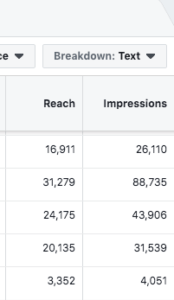 Facebook launched Dynamic Creative, and we imagine that poses quite a threat to paid ad management tools such as Adpresso.com as it more or less kills one of their killer apps in one go. 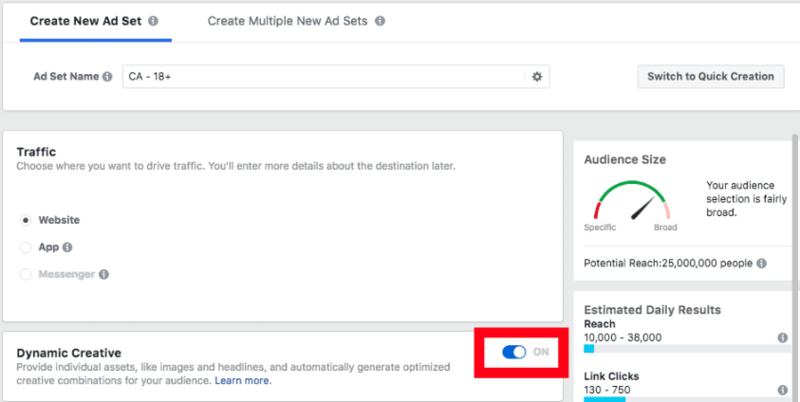 We are always advocating testing ad creative with a minimum of 4 images, but in practice we find too many people get hung up on testing targeting, so Facebook Dynamic Creative lets you easily test, with no excuses! 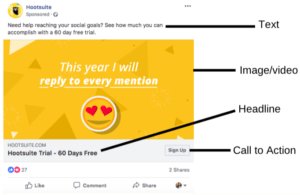 How To Set Up Facebook Dynamic Creative Testing? You access it from the Ad Set level, which we feel is a bit hidden away! If you are using Guided Creation, you can only use dynamic creative for the Traffic objective. Guided Creation guides you through the process of setting up an ad in a structured order. Use Quick Creation for any objective. Access Quick Creation from the top right. It lets you set up campaigns, ad sets, and ads in whichever order you want to. 4. Continue onto the Ad Set level, scroll down to Creative Dynamic and switch the toggle to ON. 5. Set up the Audience, Placement, Budget & Schedule as usual. 6. Next move to the Ad level and select your Format – single image or video, or slideshow. 8. 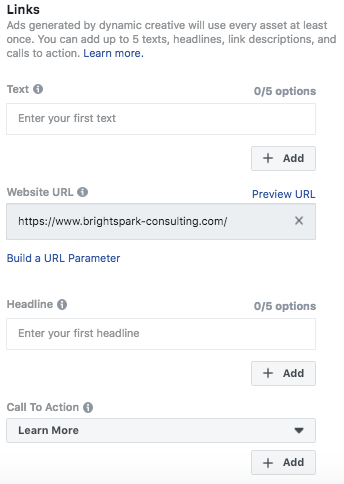 Add up to 5 different text descriptions, 5 headlines, and 5 calls-to-action. You can really let loose here! 9. Enter your website URL. 10. Click Confirm to finish. Once you’ve set up Dynamic Creative and let it run for a little while – we recommend a minimum of 3 days so that the algorithm can get the feel of it – then you’ll want to check the results to see which combination of creative assets worked the best. Go to the Ad Set tab on Ads Manager. Click Breakdown in the right corner and choose By Dynamic Creative Asset. Select one of the breakdowns to see the performance results. In this case, we have broken it down by Text, so the results of 5 different text variations are shown. The second and third options performed much better than the others. We highly recommend you try Facebook Dynamic Creative tool for your upcoming campaigns. It will provide some insight into your audience’s preferences and will help you to become more focused on promoting only the winning ad combinations that deliver the best results. If this sounds like something you want to try, but you don’t feel confident setting it up on your own, give us a call and we’d be happy to set it up for you. Social media ads and getting the most out of Facebook Advertising is what we do best!